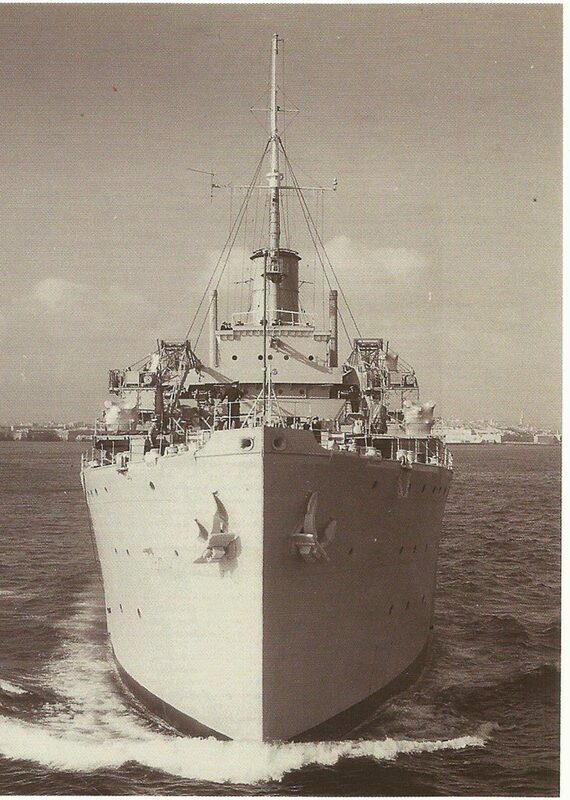 The photographs and anecdotes within this collection have been very kindly supplied by Graham W. Leggett who lives in Valley, Nova Scotia, Canada and served on HMS Ausonia from February 1962 to the summer of 1963. All photographs are copyrighted by Graham W. Leggett unless otherwise stated. 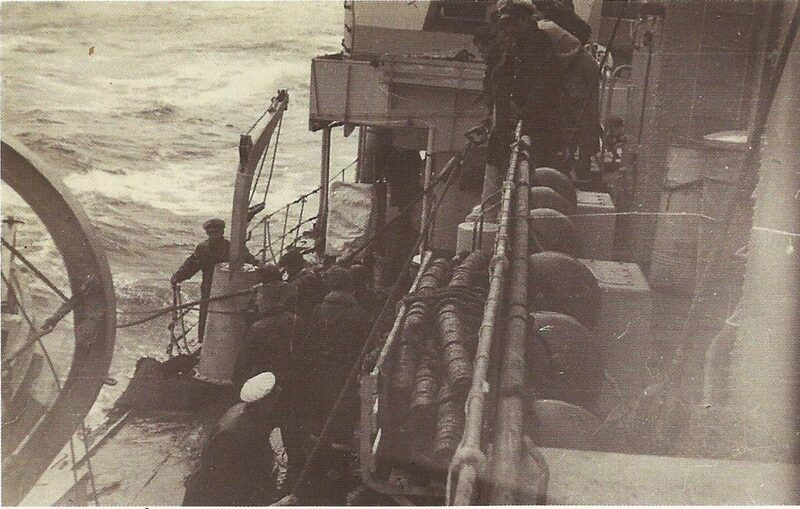 Graham W. Leggett served on HMS Ausonia, from February 1962 through to the summer of 1963. By then, the Ausonia was a very old lady and by the time Graham left the ship, they were both on their last days in the Andrew. Graham joined Ausonia on the morning of the 1st February 1962, having flown into Malta the night before, courtesy of an RAF DC 6 transport aircraft. His job for the first 6 months on board was as coxswain of the 45 foot Kitchener geared boat, which he remembers was a pig to steer. After this, he was given the job of Postman, (the very best job he ever had in his 11 plus years of service). As postman he handled the mail for not only Ausonia, but the fleet mine sweepers, HMS Appleton, HMS Chilcompton and HMS Flockton, all the submarines and any other visiting NATO ship at Malta. Following this, became the Commanders Office writer, (Commander Dennis Mills) during which time he was promoted to Acting Petty Officer. He was subsequently made Petty Officer of the Top, and his first assignment was to paint the funnel! In those days there was very little health and safety, which was just as well considering the way that the stages were rigged around the top of that funnel. After a while he was drafted to St Angelo, as being surplus to requirements. The last 6 months of his two year draft was as P.O. 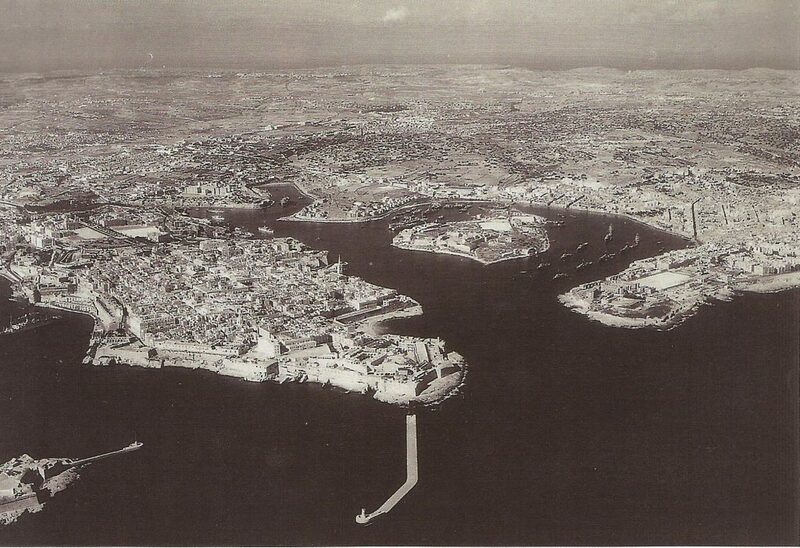 of the Naval Cell Wing of CME Corradino, (Malta) and then in November 1963, he returned to the UK. 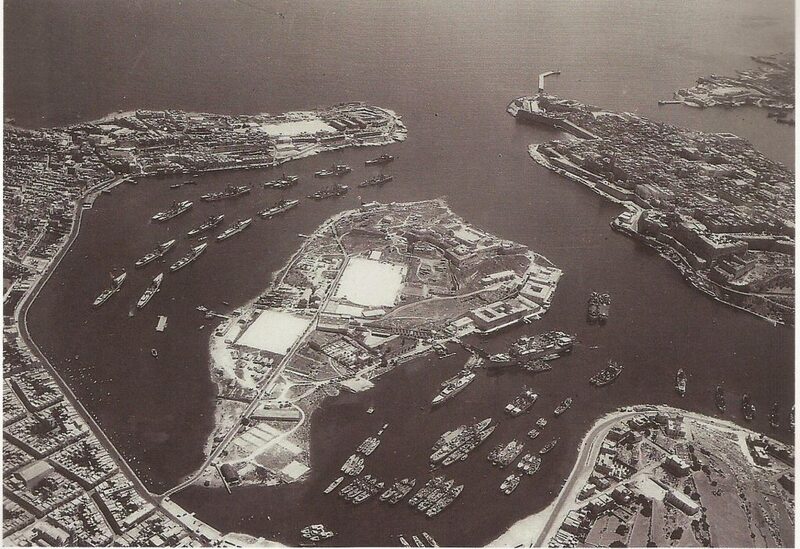 After leave, his Time Expired in February 1964 and he officially left the navy on 14th March. Graham still has two copper ash trays in his possession, courtesy of a chief E.R.A. from his Postie days, which were souvenirs of the Cuban missile crises in1962, when Ausonia was stored for war. Graham remembers that the Navy that he joined in November 1952 still had a fair number of men left over from the Second World War and also included those men called back for the Korean War. 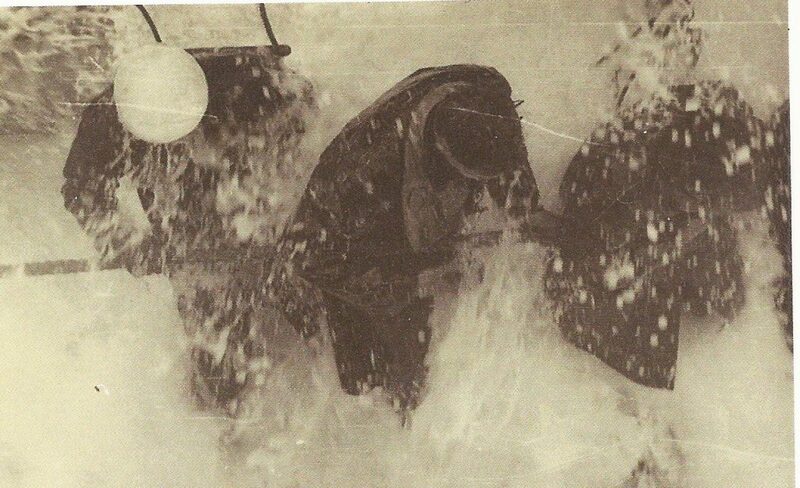 These were rough and ready guys, the forward mess deck of a 1950’s Destroyer was not a place for the faint of heart, either on board or ashore. Around Tot time and on returning from shore in the evening fighting was common place as was drunkenness. 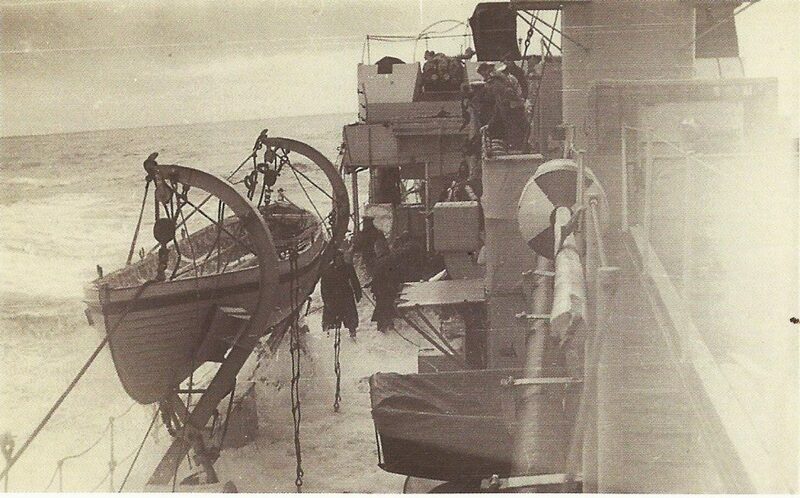 The senior officers at that time with wartime experience tended to treat their ships as their own private yachts and looked upon the lower deck as uncouth drunken cretins. 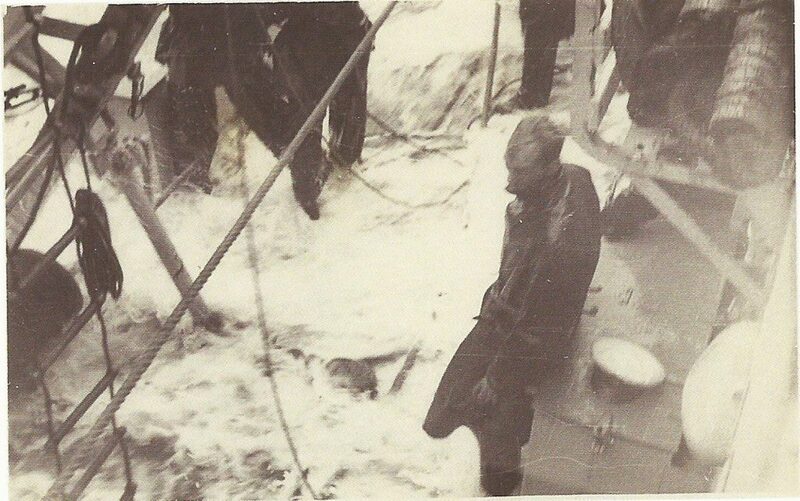 However by the end of the 1950’s and early 1960’s, things had quietened down some, with more young men coming on board. He recalls that by the end of 1959 and for the next 2 years, he was on the cruiser, HMS Tiger, as a boat coxswain and then quarter master. He lived in a mess with 23 other guys of similar employment and all were rum drinkers. Each and every day they would draw one gallon of rum, and as half of them were going on duty at that time, we likely only drank half of our ration, putting the rest back in the rum fanny for our mates. 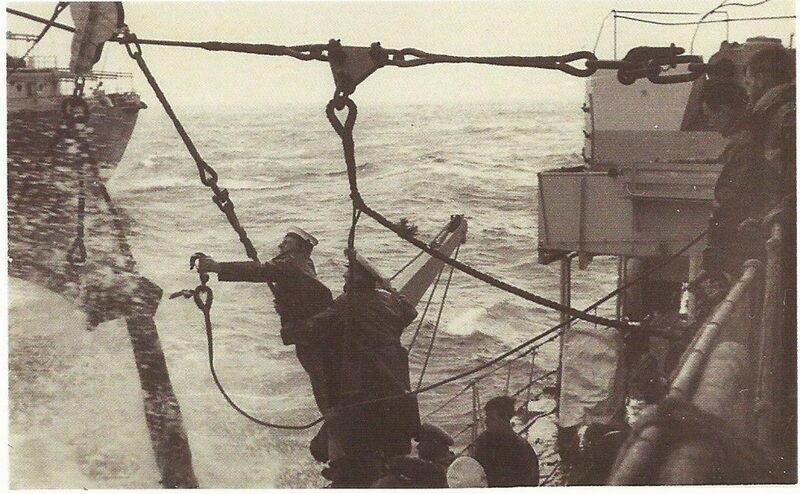 Graham served on HMS Ausonia, from February 1962 through to the summer of 1963 as the Postie. 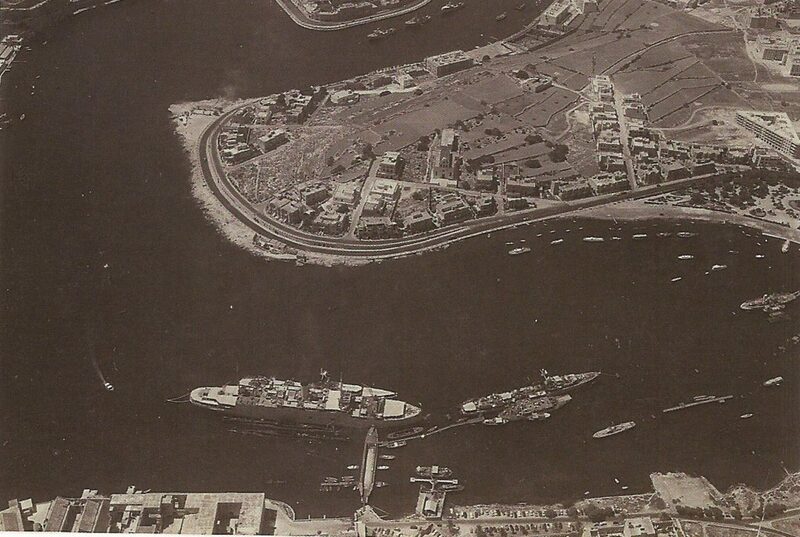 During the Cuban missile crises in1962, HMS Ausonia was one of the many Royal Navy warships stored for war. Included in this provision were copper ash trays for the various messes. Two of these ash trays were given to Graham as souvenirs, courtesy of a chief E.R.A. While they have no engravings or markings which indicate that they are from the ship, it is obvious by the thickness of the metal and the weight of them that they are not commercial and are typical of the sheet metal used by the R.N. at that time. The ash trays have been very kindly given to me by Graham and I am honoured be their new custodian. Graham’s two copper ash trays which were given to him by a chief E.R.A. and souvenirs of the Cuban missile crises in1962. 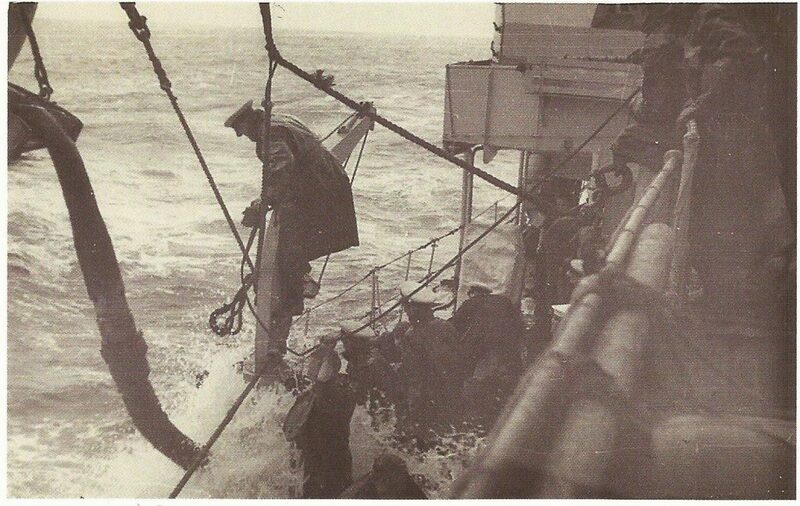 The following series of photographs shows the refuelling at sea of HMS Battleaxe from a Wave Class RFA tanker, in late 1954 or early 1955. 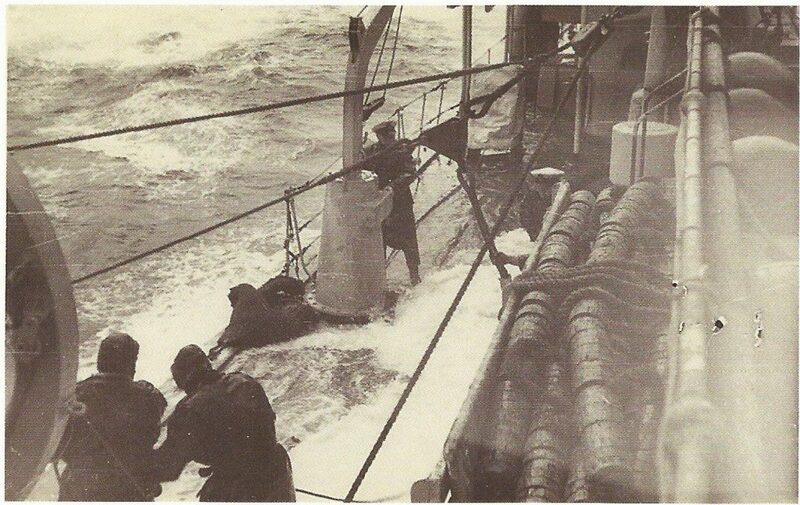 They capture the preparation and connection procedure prior to refuelling, which as can be seen, was all carried out by hand in those days. Graham can be seen in the last three photographs (without his headdress).